First of all, if you’re missing a tooth, one of the best things you can do for your oral health is to get a dental implant. It can take a while to get it put in and for it to heal, but the time and effort getting it is absolutely worth it. The different types of dental implants won’t just fix your smile. They can do your overall health a world of good! 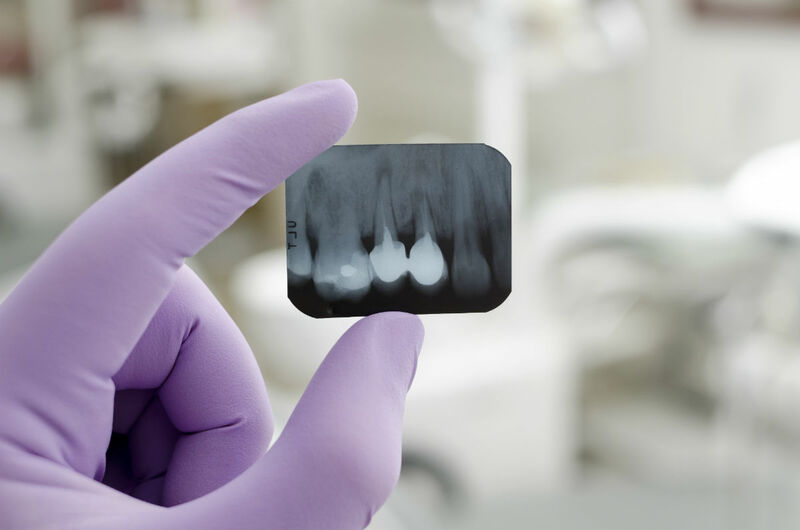 In addition we have years of experience working with implants at Imagine Dental. If you have any questions about the procedures or the types of implants available, we would be more than happy to answer your questions. To give you an idea of what’s out there, here’s a breakdown of the four different types of dental implants. As for which of these implants is right for you. Schedule an appointment at Imagine Dental and we’ll find the right one for you! A dental implant is an artificial tooth restoration procedure to restore missing teeth and strengthen the jaw bone. It isn’t just done for aesthetic reasons. Missing teeth can lead to a spread of plaque and bacteria and can cause bone loss and gum tissue recession. 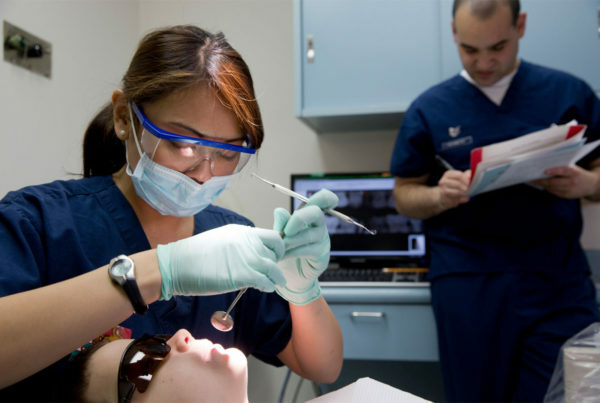 By getting an implant, you’re sealing up gaps in your teeth, thus fortifying your jawline, correcting your bite and also resolving any speech problems you may have as a result of missing teeth. Dental implants tend to be composed of three distinct parts. Crown: The artificial tooth. They usually make crowns out of porcelain or out of a combination of porcelain with metal or porcelain or zirconia. Sometimes they make the entire crown out of zirconia. 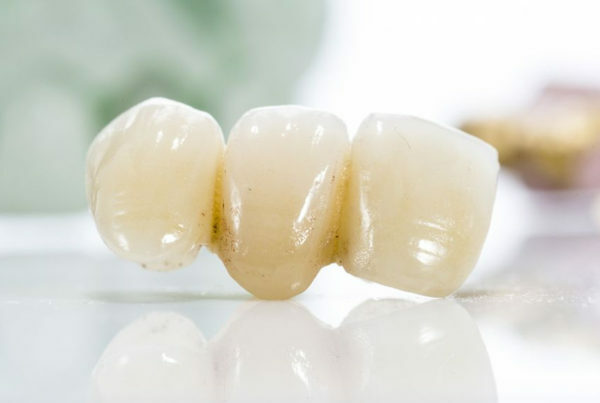 Abutment: Typically made out of titanium or white zirconia, the abutment is the piece that connects the crown with the implant fixture. It’s usually held in place with a set screw. Fixture: This is the part that surgically implants in the jaw to hold the crown in place. They usually make them out of titanium. They design them to rigidly attach to the bone and not move at all, which is what sets the rest of your teeth in their place by stopping them from creeping in to fill the gap left by the missing tooth. There are two basic types of dental implants. Single-stage and two-stage implants. The kinds of implants used during single-stage or two-stage procedures are either endosteal implants or subperiosteal implants. 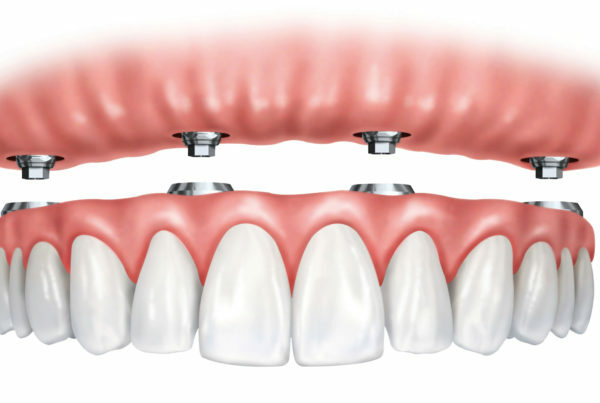 There can be minor variations between all the implants, whether or not they make them out of zircon or titanium, or by whether the shape of the connection on top of the implant is an internal or external hexagon or octagon. This implant is called a single-stage implant because it usually only requires one surgical procedure to install it. The procedure involves surgically placing a longer implant into your jaw so it’s on the jaw bone, with the top of the implant level with the gum tissue. Once the implant is in, the gum tissue stitches and closes, leaving the head of the implant visible. After a few months of healing, the dental implant abutment and temporary restoration can attach to the exposing head of the implant without needing any additional surgery. This implant requires two surgical procedures for it to be set in place. The first procedure involves placing the implant into the jaw bone and stitching the gum tissue shut. Several months after healing, a second surgery is done to expose the implant and attach a dental implant abutment and temporary restoration. Many know these as Endosseous implants. Typically having a shape like small screws, cylinders, plates, or blades, endosteal implants place in the jaw bone. They usually place them as an alternative to a bridge or a removable denture. These are the most common form of implants for two-stage procedures. Implants are used to hold dentures in place for patients with insufficient bone height. They often use them for single-stage procedures. And they place them on the jaw bone, within the gum tissue. This leaves the metal implant exposed to hold the restoration in place. They use this implant on patients who have a shallow jawbone and cannot or do not want to undergo a procedure to rebuild it. In conclusion, if you’d like to find out more about the different types of dental implants or want to schedule an appointment, give Imagine Dental a call at 480-893-7733.